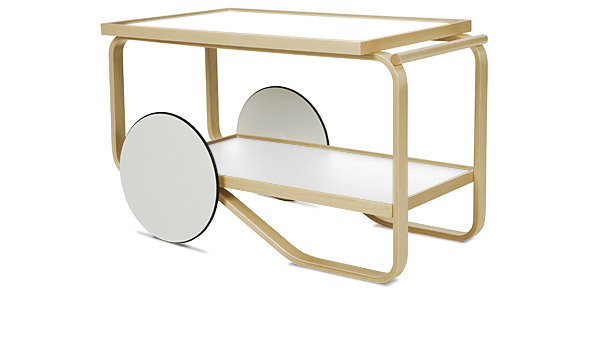 Tea trolley 901 by Alvar Aalto / Artek. Shelves: White laminate or black linoleum. The 901 tea trolley has two large shelves making it perfect for serving everything from afternoon tea to dinner parties. In-between serving duties the 901 does an excellent job as a side table. 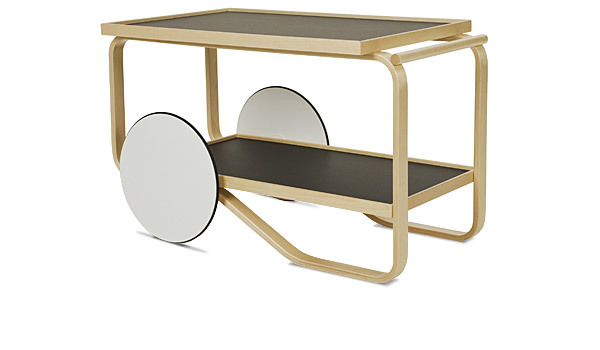 We have the tea trolley 901 with black linoleum shelves for you to see in our showroom by appointment. Delivery time approx. 4-6 weeks.